» Uncategorized » Are you a Believer or a Disciple? Jesus declares that we must make disciples of all of His followers. (No one is born a disciple of Christ!) 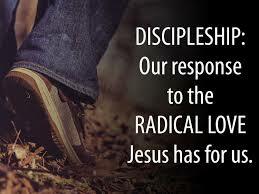 A disciple is one who adheres to the radical teaches of Christ! What did Jesus mean when he said that we must “hate” our loved ones, carry our cross, count the cost and forsake all in order to be His disciple? Join us this Sunday as we learn how to become and what it means to be a true disciple of Christ!